Ms. Zink graduated from DePaul University College of Law in May of 2004. While at DePaul, Ms. Zink was a member of the Dean's List and was awarded four CALI Excellence for the Future Awards for receiving highest grade in Legal Writing I, Legal Writing II, Client & Community Relations and Trial Advocacy II. She graduated from University of Illinois with a Bachelor of Arts in English and a minor in philosophy in May of 2001. At UIUC, Ms. Zink was a member of the Dean's List. Ms. Zink was admitted to the Illinois bar in November of 2004. She was also admitted to practice in the Northern District of Illinois in January of 2005. Amanda Zink is a litigation associate who focuses her practice on the defense of personal injury, premises liability, construction liability, employer liability, and product liability claims. Ms. Zink has exceptional research and writing skills and has won over 20 motions for summary judgment for her clients. Her high attention to detail, organization and clear and concise arguments regarding complex matters give her clients a distinct advantage in the courtroom. 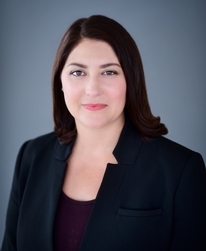 During her legal career, Amanda has handled complex personal injury and wrongful death matters, construction litigation, premise liability, employer litigation, products liability, property damage, catastrophic fire loss claims, condominium disputes and sexual abuse cases. Amanda has extensive arbitration and trial experience. Prior to joining Lipe Lyons, Amanda spent more than a decade as in-house counsel for The Hartford, where she defended its insureds in both federal and state court. Amanda is a member of the Illinois Association of Defense Trial Counsel and currently serves as the Vice Chair of the Events Committee. She is also active in The Advocates Society – The Association of Polish-American Attorneys. She has sung the United States' National Anthem and the Polish national anthem in Polish for every Advocates’ Officer Installation Ceremony since 2015.